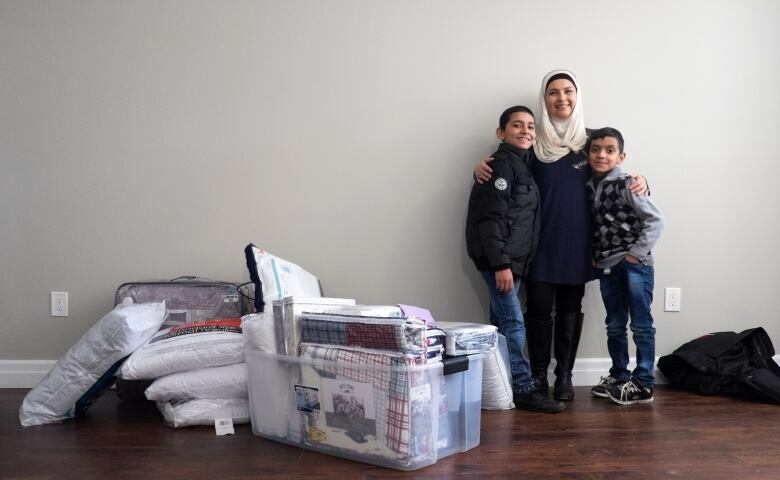 As the government announces how many more Syrian refugees Canada will accept this year on top of the 25,000 already in the country, the Matar family in Toronto is counting itself lucky to finally be among the more than 9,000 government-sponsored refugees to have found permanent housing. 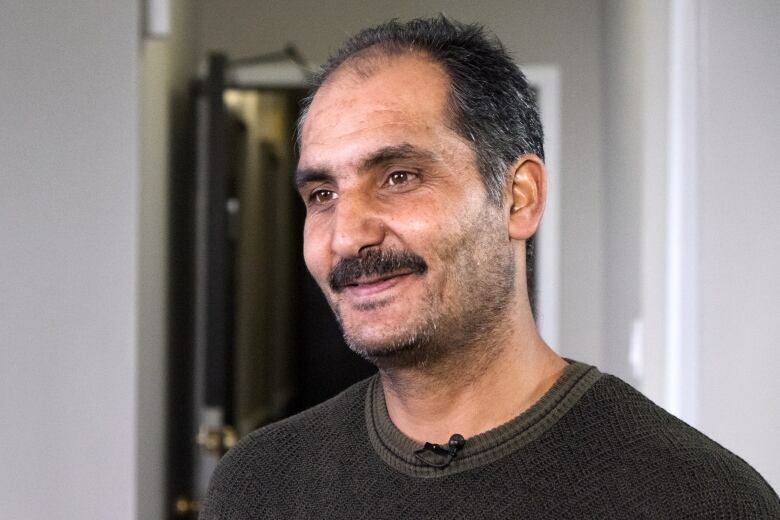 "This is the best day of my life," says Mosbah Matar, a government-assisted refugee from Syria as he settles his family of seven into their new home west of Toronto. 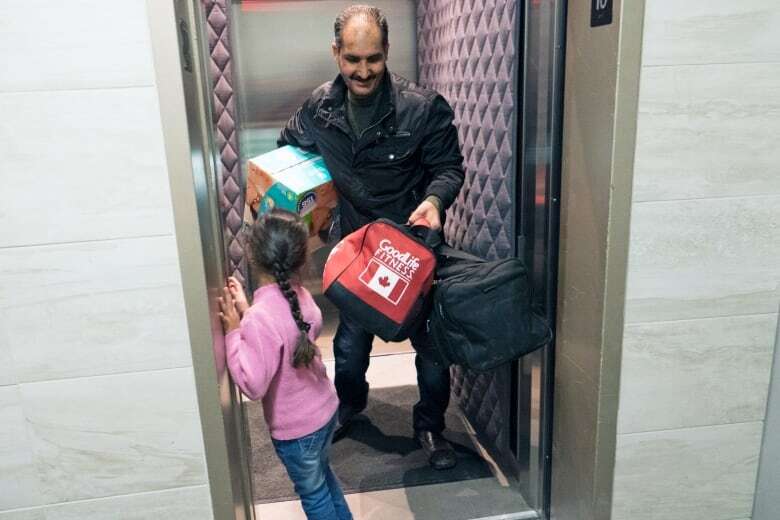 He and three of his children, Mohammed, 9, Jehad,11, and Hala, 6, make several trips up and down an elevator, hauling boxes, bags and suitcases to their new 10th-floor apartment in Mississauga, Ont. "It's very nice," says Mohammed through an interpreter as he happily runs around the new apartment. He says it's far better than the tiny hotel room in northwest Toronto the family had to squeeze into for nearly 40 days before they found permanent housing. "It was tough," says his mother, Maysa Matar. "The kids are not used to the food, and they didn't eat properly there. It was very busy, crowded." CBC News caught up with the family last week as they were settling into their new three-bedroom, 1,000-square foot home with a small kitchen. While they unpacked, they waited for a truckload of furniture to arrive and shared their impressions, with the help of an interpreter. 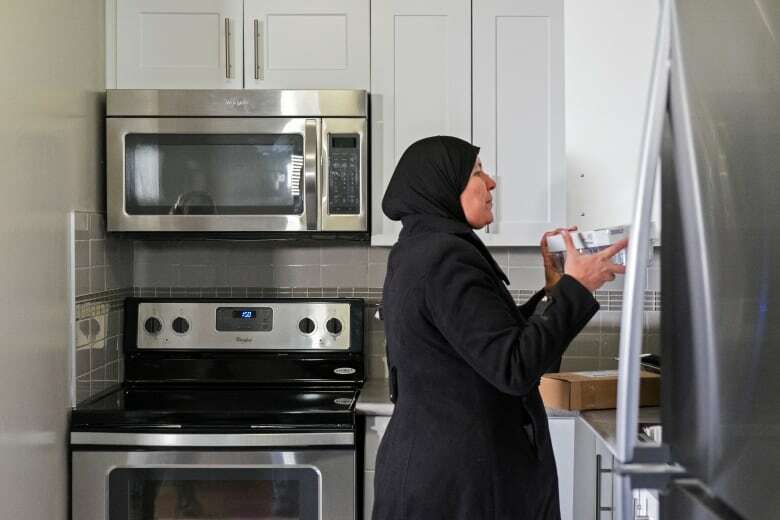 "Thank God for it," Maysa Matar said of the new home. "I couldn't wait for the day we were actually moving because we can finally settle." It's been a long journey for the family. From Homs, Syria, they fled to Jordan, where they lived for three years, some of that time in a refugee camp. 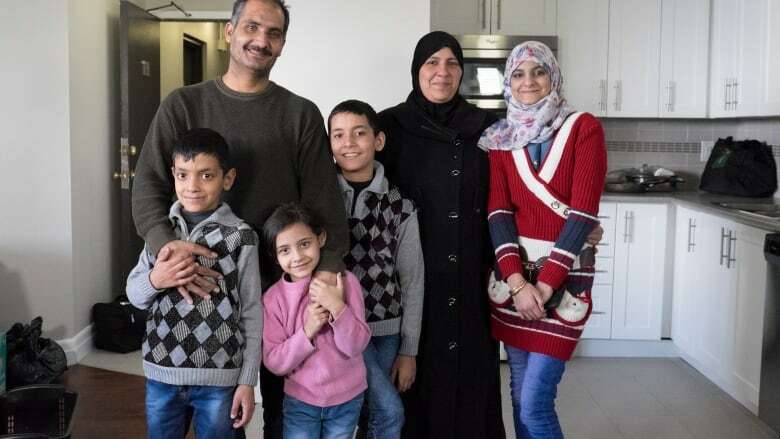 A nation-wide scramble to find permanent housing for Syrian refugees has paid off for the Matar family. According to government figures, 60 per cent of the 15,000 government-sponsored Syrian refugees brought to Canada since November 2015 now have places to live. Resettlement agencies believe they are making headway. "It's been very challenging," said Mario Calla, executive director of COSTI Immigrant Services in Toronto, the agency responsible for helping to settle government-sponsored refugees in that city. "But I feel really good about it because it's working out." Still, many are living out of suitcases in hotels. In Toronto, where affordable housing is hard to find at the best of times, 1,100 refugees remain in temporary shelter and many are having to stay there for as long as five weeks. About 850 have found permanent accommodation. 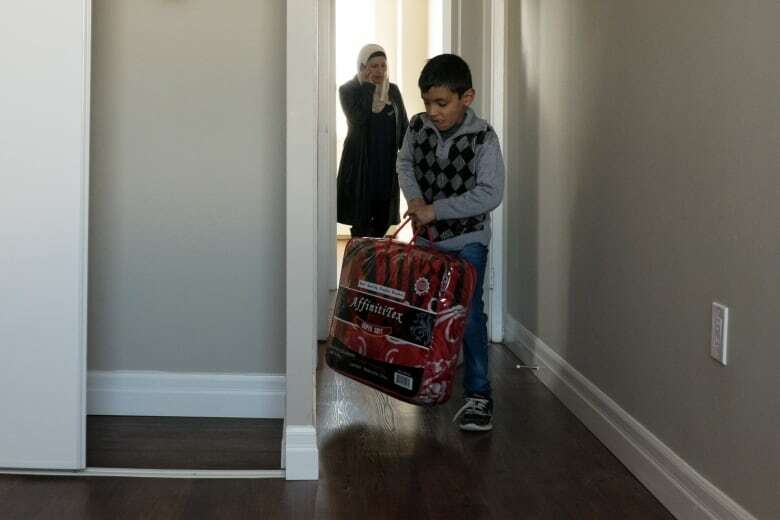 The housing bottleneck is due, in part, to the large influx of refugees in such a short period of time, coupled with the size of the Syrian families coming to Canada. "Some of these families range from six to 13 members," said Chris Friesen of Immigrant Services Society of B.C., the agency responsible for settling refugees in Greater Vancouver. On top of that, families are given very little money to spend on shelter. Government-assisted refugees are financially supported for up to a year and receive about $25,000 per family. Friesen says in Vancouver, a family of six has a housing allowance of around $900 a month. "It is very, very difficult when you are looking at the average two-bedroom apartment in the Lower Mainland is $1,200," said Friesen. "You've got rental vacancies hovering at around one per cent." Friesen says the housing allowance should be increased by $400 to $500. In Calgary, Fariborz Birjandian of the Calgary Catholic Immigration Society, which helps refugees get settled in that city, agrees. He says that refugees are forced into poorer neighbourhoods, where the rent is low, and he worries that will create ghettos similar to those that exist in some large European cities. "You can't integrate people if you have thousands of them from the same culture with the same language living two blocks away from each other," said Birjandian. 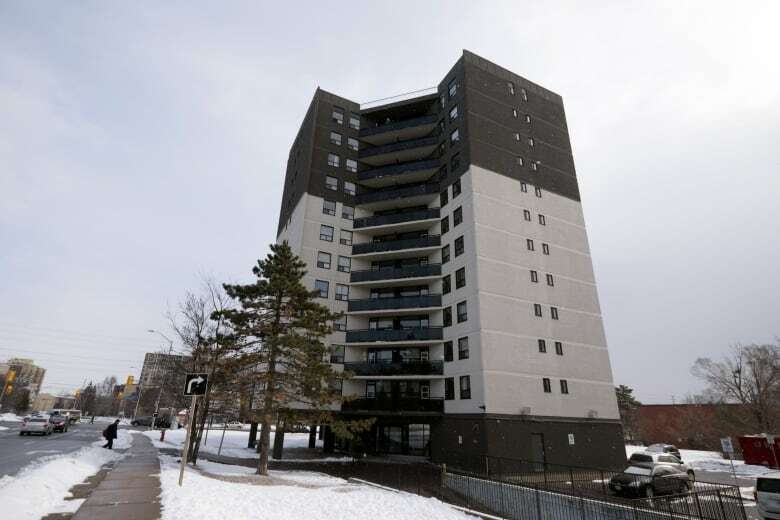 But housing allowances, along with the other financial assistance refugees get, are based on provincial levels of social assistance, which makes increasing them difficult. "It's really a political question," said Calla. "Would we give refugees more of an allowance than Canadians on social assistance would get? I think that's the quandary." Some private corporations are stepping in to help. Calgary is the first recipient of money from the Welcome Fund for Syrian Refugees, which was created to help with housing costs. Calgary is getting $600,000, which will be used to supplement the monthly housing allowances the city's 700 government-assisted refugees get. "Of course, this makes a big difference," said Birjandian. He says how much each family will get will vary depending on each family's situation. "Sometimes, it will be $600; sometimes, it could be $300. [It depends on] what the government is paying them, how much the actual rent is." The Welcome Fund has collected nearly $6 million from Manulife, CN and other corporations, and more money is expected to be distributed to other cities in the coming weeks. 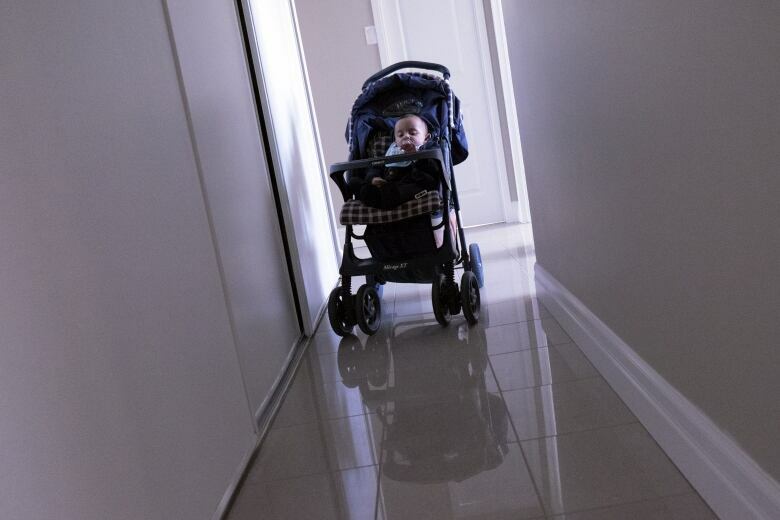 Another solution to the housing problem is slowing down the arrival of refugees altogether. 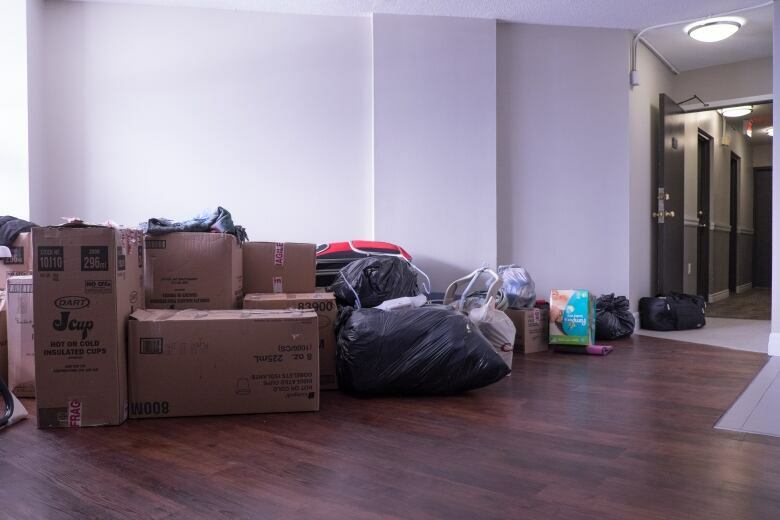 In January, resettlement agencies in Vancouver, Toronto and Ottawa were so overwhelmed they asked the federal government for a temporary pause in new arrivals to address the housing crunch. It lasted just a few days. Now that the government's target of bringing in 25,000 government- and privately sponsored refugees has been reached, the influx has slowed for now. But federal Immigration Minister John McCallum said Tuesday that the government expects another 8,500 government-sponsored Syrian refugees to arrive by the end of 2016. "Depending on the pace they are talking about, I think we can cope with it," said Carl Nicholson with the Catholic Centre for Immigrants, charged with settling refugees in Ottawa. "None of it is easy, but it's doable." The minister also addressed the current backlog of refugees stuck in temporary housing. "We have certainly made progress," McCallum said at a news conference in Brampton, Ont.. "We are putting measures in place to make it happen. We are broadening the number of cities and towns who receive refugees and often in those places the rents are lower and housing is more available." Friesen says a slowdown in the influx of new arrivals would help clear the backlog and enable settlement agencies to regroup. "It allows us now to support those who are in Canada, still in temporary housing," he said. 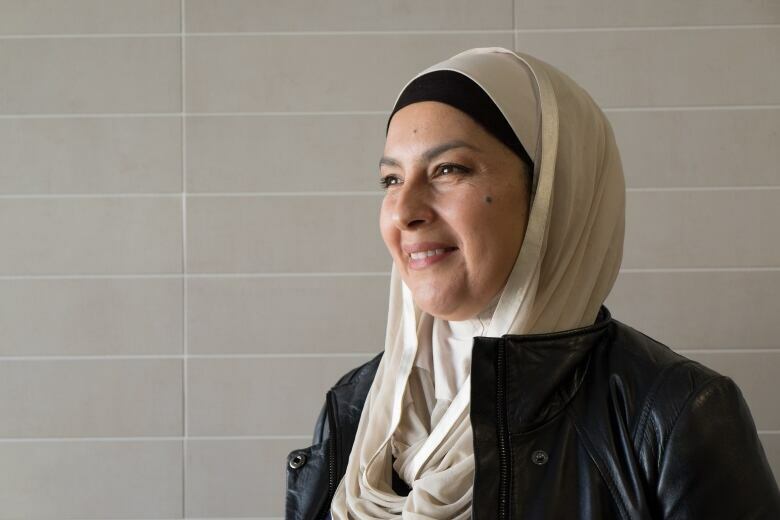 In Mississauga, Maysa Matar puts her pots and pans away in the cupboards of her new kitchen. The family will be paying $1,600 a month in rent at their new apartment. "It's okay," said Mosbah Matar. "I'm hoping it gets easier with time." Matar, who was a messenger for a currency exchange office in Syria, wants to eventually get a job, and his children will soon be enrolled in school. As for his new home, he says it's better than the one he had in Syria.